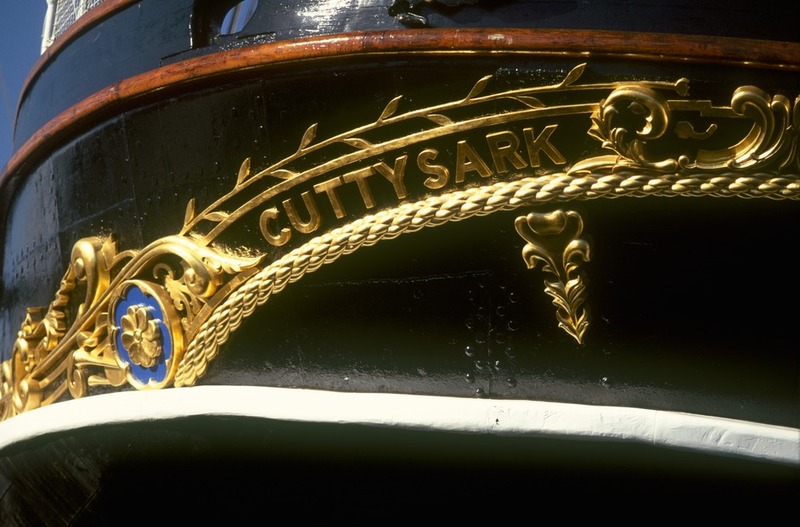 The restoration of the Cutty Sark has seen £50 million spent on the famous tea clipper ship which was damaged by fire on 21 May 2007. But with much of the ship already removed from the site, most of the original has been restored. The boat's rich history begins back in 1869 when it was built for John 'Jock' Willis, a seasoned sailing ship master, and was designed for speed, racing to bring home tea from China. Capable of going over 17 knots, and with a large hold for carrying cargo, the Cutty Sark was 'the space shuttle of its time'. Preserved for the nation by Captain Wilfred Dowman in 1922, the old clipper has been at her current resting place in Greenwich since 1954 and was first opened to the public in 1957 by HM The Queen. Now raised three metres above her dry dock, visitors can see the lines of her hull - covered in sheets of metal giving it a golden sheen - which made her so swift and so successful. A tour of the vessel reveals the ship's fascinating history and her various cargoes: from tea to wool to buffalo horns. The exhibition also includes the world's largest collection of merchant navy figureheads, installed in the dry berth under the bow. The Cutty Sark's own figurehead, a young witch named 'Nannie', was named after a character in the poem Tam O'Shanter by Scottish poet Robert Burns. What are the best dining options near Cutty Sark London? Cutty Sark gyms, sporting activities, health & beauty and fitness. The best pubs near London Cutty Sark. Cutty Sark clubs, bars, cabaret nights, casinos and interesting nightlife. Where to have your meeting, conference, exhibition, private dining or training course near Cutty Sark. From cheap budget hotels to luxury 5 star hotels see our discounts for Cutty Sark hotels, including DoubleTree by Hilton London - Greenwich from 87% off.